Sole/Feel: The change here was the very first thing I noticed. The Ren 3 no longer has the sweet firmness that the previous version had. This is due to the removal of the extended forefoot torsion system and a replacement of the midsole material with softer EVA. The boosted forefoot is good, but not great. For some reason I cannot feel the boost in the Takumi Ren 3 as much as I can feel it in the forefoot of the Takumi Sen 3 and Adidas Adios Boost 2. Overall this causes a large change in the ride. The Takumi Ren 3 now feels like a normal racing flat and the lack of the extended forefoot torsion system no longer differentiates it from the other racing flats out on the market that don't really have any bells and whistles in the midsole. The only difference likely is the slightly higher heel drop (7-9mm range), but the shoe is light enough that you may not notice that. Upper/Fit: While the upper is a bit less firm than the previous version, the Takumi Ren 3's upper now fits narrower and slightly shorter. If you are between sizes in the Takumi Ren 2, definitely go up a half size unless you want to wear very thin socks and want a racing flat fit. As I have worn the shoe more, the upper has broken in a bit and widened slightly. If anything I would suggest trying the wide version for those of you with wider forefeet. You will only find the wide available through Japan (Global Rakuten for the rest of the world), but apparently in Japan they only widen the forefoot. I have not confirmed this, so those who have tried the wide version please comment below. 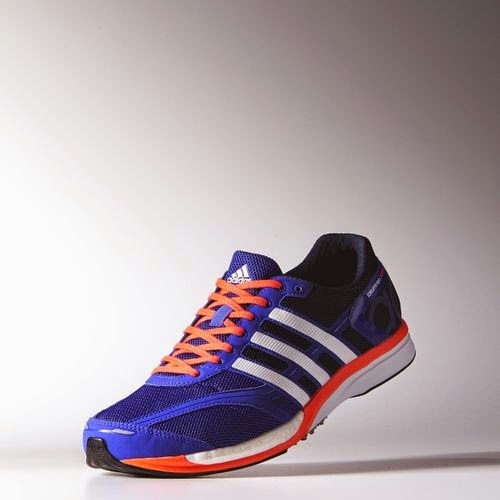 Overall the upper has been lightened up and it now feels closer to racing flat fit than a lightweight trainer. The upper has worn fine, but the thinness makes me worried that it may not last as long. The Takumi Ren 2 had a thicker upper that really held my foot onto the platform with the awesome heel counter I discussed in that review. The Takumi Ren 3's heel counter does actually extended farther, but it is much lighter and does not provide the same nice hold. Again a testament to how this shoe is now a racing flat and not a lightweight trainer. Responsiveness: Despite the addition of the boost in the forefoot, the responsiveness of the Takumi Ren 3 is a large step down from the Ren 2. That's what happens when you remove the forefoot torsion system and soften up the midsole by such a great deal. That being said this shoe has still worked well for workouts ranging from 400s to 4 mile tempo runs, but the light weight is more a factor in that than the ride. Heel-Toe Drop/Ramp: Like the previous version, the heel drop does feel like it's around 7-9mm. 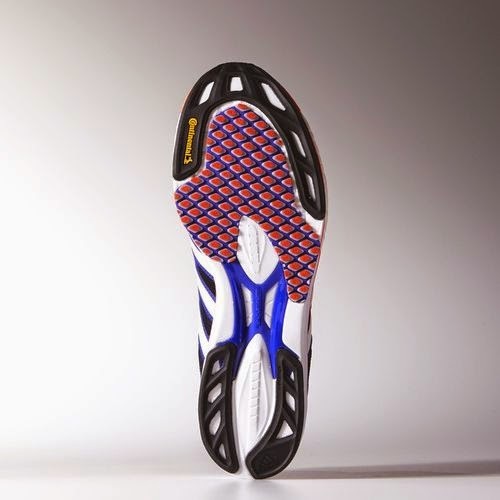 However, because of the significant decrease in firmness of the midsole, compression can make the shoe feel either higher or lower depending on your footstrike. Durability: Although the sole does not seem as durable as version 2, I have not had any issues after 102 miles. The upper is fine and the lugs are wearing at a similar rate to the previous version. Whether or not the Ren 3s will make it to 350 miles like the Ren 2s is doubtful. Considering this shoe is pretty much a racing flat now, I doubt it. Weight: The Takumi Ren 3 has cut a significant amount of weight. According to the Adidas UK website it now weighs in at 170g (~6 ounces) and that feels accurate. They actually feels lighter than my pair of Takumi Sen 3. The weight really contributes to the third version now feeling like a racing shoe. Thoughts as a DPT (Student): The midsole firmness and awesome heel counter that the Takumi Ren 2 had are gone and with it went the inherent stability of the shoe. The slightly increased midsole softness (which is further increased by the boost) along with a more flexible heel counter no longer makes this a shoe that those with stability issues will get away with for longer than 5k-10k. Can it still be done? Sure. I get that Adidas wanted to lighten the shoe up, but the attributes that made it a heavier shoe also made it a faster and more stable shoe. All they had to do was add some boost very much like Adidas Adios Boost and leave everything else. In my mind the midfoot torsion system doesn't really do anything except to irritate people's feet. I have had multiple people comment on that from adidas shoes with midfoot only torsion systems. You cannot isolate one part of the plantar surface of the foot and expect a great translation of force forward when you suddenly interrupt it. The first and second generation Takumi series did a great with that as the torsion system extended through the entire shoe. Just like the plantar ligaments of the foot. Not surprisingly that awesome propulsion from the early generations is gone and instead many people feel an abrupt change in the midfoot only. Final Thoughts: So overall I do like the Takumi Ren 3, but because of the purpose change due to the drastic overhaul I do not like it as much as the Takumi Ren 2. This is now a racing flat and NOT a lightweight trainer (unless you are used to running in minimalist shoes). It has served me well so far as a great shoe for workouts, but due to my waning minimalist tendencies it is not a shoe I would use as an everyday trainer. I am disappointed that Adidas took out the extended forefoot torsion system as it now lacks the pop and wonderful firmness the previous version had (also sad they took that out of the Takumi Sen 3. Review on the way). Additionally, the only differentiating factor between this shoe and the Takumi Sen 3 is the slightly higher heel drop. 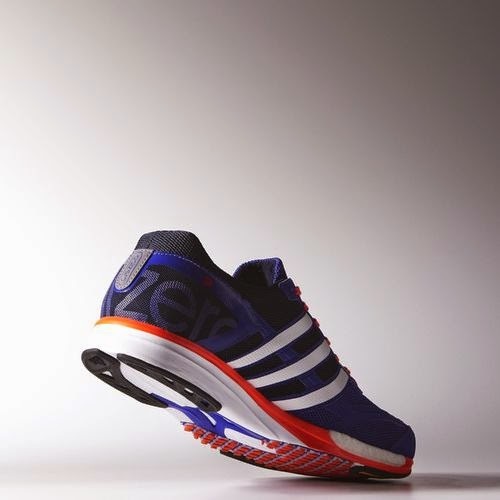 The two shoes weigh practically the same according to the Adidas UK website, although the Ren 3 does actually feel lighter! 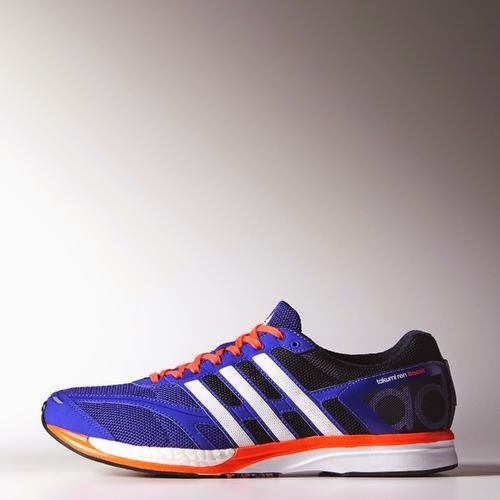 So if you're looking for a lightweight 6 ounce racer with a more traditional heel drop and want to try a boosted shoe, give the Adidas Takumi Ren 3 a try. This is no longer a trainer but a racing shoe that can probably handle 5k-half marathon and maybe marathon depending on your strength. Adidas.... if you're reading this, please make version 4 a return to what the Takumi Ren is supposed to be: a lightweight trainer counterpart to the Takumi Sen. Kinda strange that the Takumi Ren feels lighter than the racing flat it is supposed to paired with. These shoes were a personal purchase and are not readily available in the United States. I purchased my pair on Global Rakuten. I put at least 100 miles on every pair of shoes before I review them (except racing flats which I put on at least 50 miles). Currently I have 102 miles on my pair. 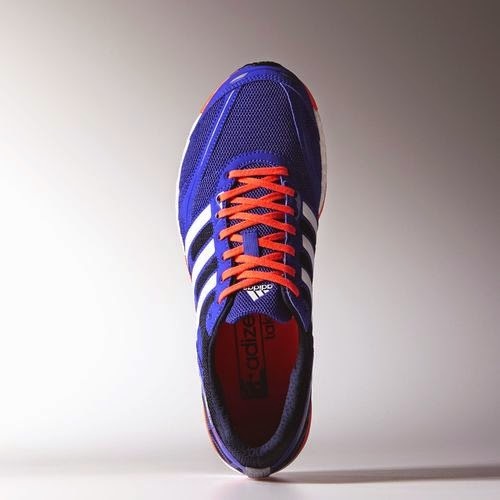 *Images obtained from the Adidas UK website because I'm too lazy to take my own cell phone photos right now.